The hospital received confirmation that the government of PNG will cut the money they receive by 40%. I encourage you to read more about how the administration is working to save money to fill the gap this has created on Erin Meier’s blog. We held a staff meeting on Wed, to let them know what we were doing, to share our plan with them and to get any ideas they had on what else we could be doing. After we (Administration) spoke, they stood up, one by one. They starting talking about how they were here as missionaries, how they had left their home and this was their home now, how they wanted to stay here and to serve the people of Jiwaka. They wanted to help keep our doors open, and so one by one before they sat down, they said they wanted to give up part of their pay to help the hospital keep going. As I heard staff after staff stand and say this, from nurses to maintenance men, to cleaners and clerks, I just started crying. Erin’s entire blog post is well worth the read. Take 1, 2 . . . 48! Each year I try to get a family picture to look back and see how the kids have grown. Generally it’s in the backyard with Grandma taking the shots. It cracks me up to see what the kids are doing and the years I get it sent as a Christmas card I always think there needs to be a blooper reel for the pics that didn’t make the cut. 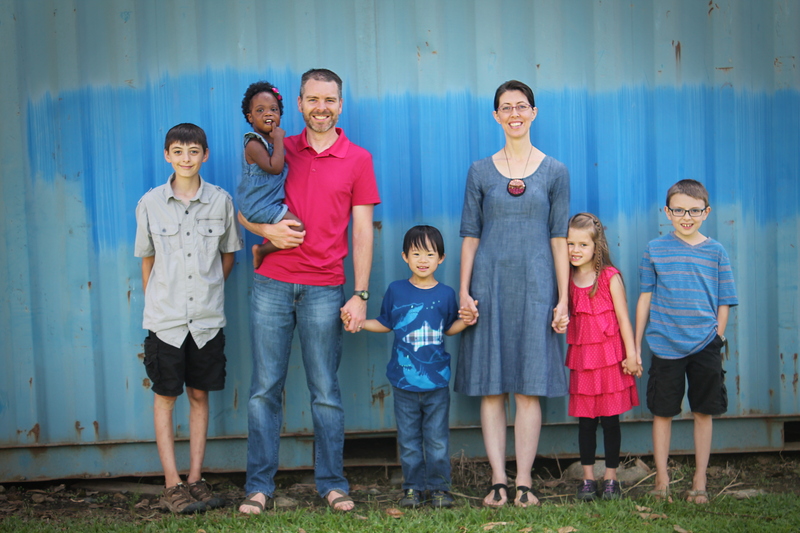 This year’s family pictures came with a little extra pressure because we’d be using them on prayer cards. These will be left at churches, sent to family and friends, and would be put on our blog. After about 5,000 tries (or so my kids would think!) one turned out well. One child has ants in her pants and can hardly stand still. One tries hard to smile but ends up with a pained grimace on his face (perhaps that’s how he feels about hearing “Just one more!” for the 20th time). One smiles well EXCEPT on the shot that everyone else looks great. Our little guy thought that all of Grandpa’s antics behind the camera (done to elicit smiles) were meant to be copied. And the baby kept thinking that the blank wall behind us was suddenly far more interesting than what was in front of her (the camera). My friend Nacomi thought it’d be fun to share our family picture blooper reel (we almost used the first one). Real life pictures with 5 kids.